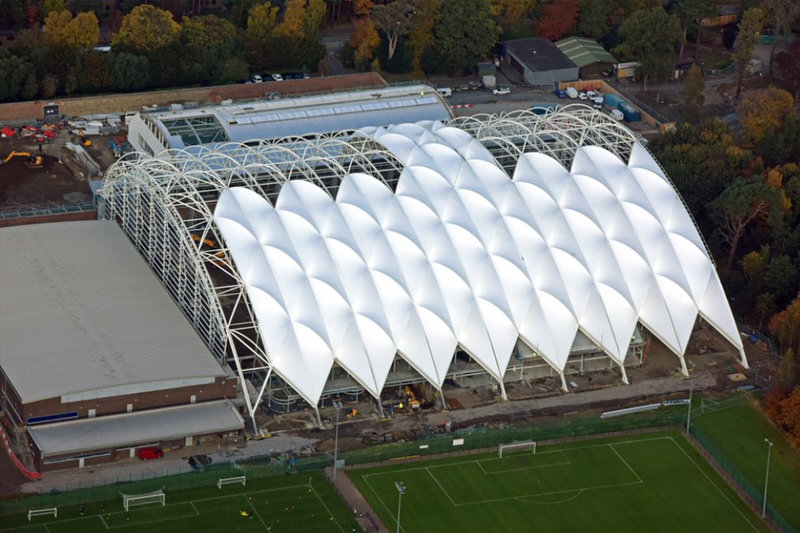 Shape Structures and Tension Structures have collaborated on the fabric structure roof for the new Oriam Sports Performance Centre in Scotland which aims to provide top sportsmen and women with the world-class sports facilities pivotal for successful performance on an international stage. 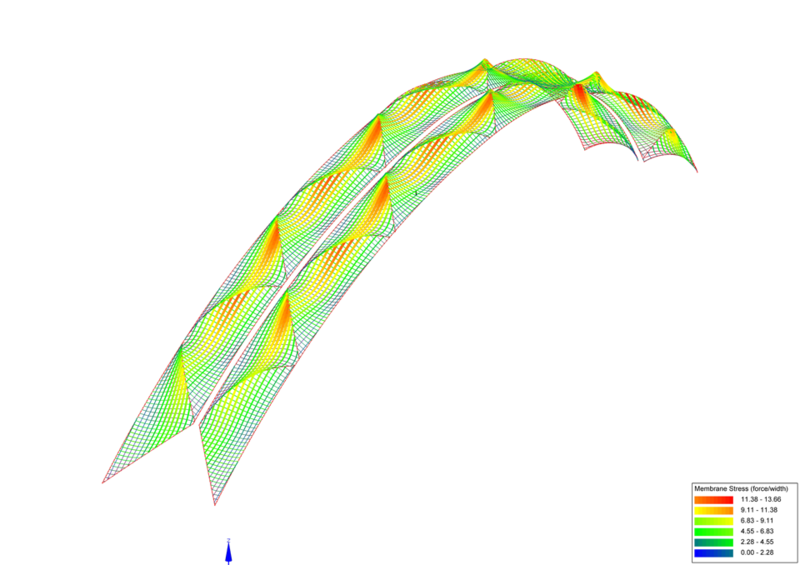 Tension Structures was brought on board by project engineers Engenuiti, and Shape Structures as one of a few companies in the world that would be able to develop the necessary detailing, taking into account the complexity of the connections and tensioning for the roof structure. 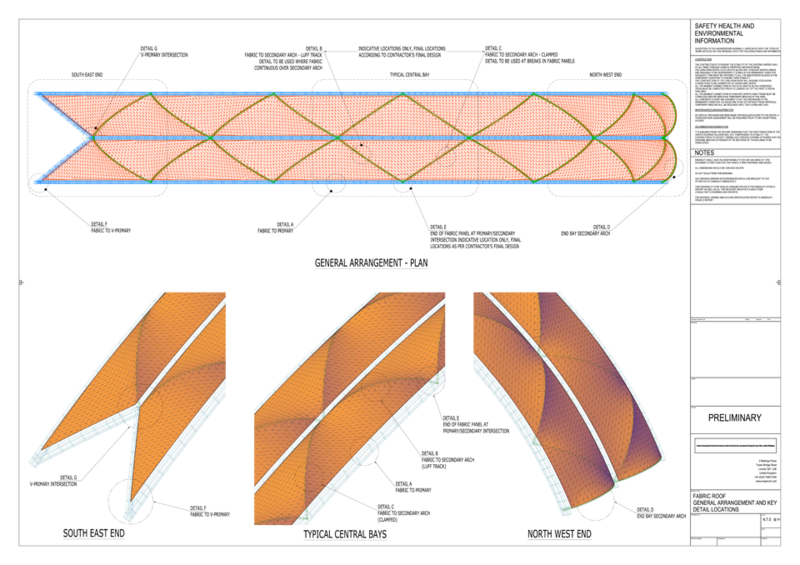 Tension Structures was required to submit stage calculations including fixing detailing, produce form finding and load analysis including imposed loads on the supporting steel structure, submit 3D drawings including typical details to describe the form and connections sufficiently and detail performance specification covering materials, workmanship, installation and maintenance. 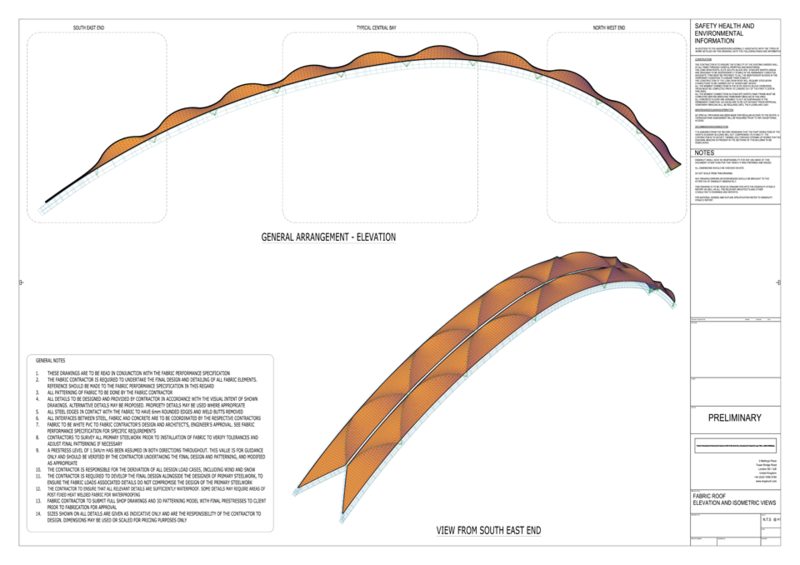 Tension Structures then worked with Shape Structures to detail a performance specification. The size of the structure to be placed in the extreme weather conditions in Scotland, as well the complexity of the fittings meant stringent calculations to ensure integrity; and the size of the fabric panels meant very well thought out installation procedure had to be used. Reiach and Hall Architects are the architects on the project to be completed before the end of 2015, with the centre to be launched in the Summer of 2016.